Entrepreneurship, simply put, is taking the risk of running your own business. In the case of Nigeria, young Nigerians have to brave quite a myriad of challenges before they can actually float their businesses. This, however, has discouraged aspiring Nigerians to shelf their entrepreneurship dreams. Unknown to them, being an entrepreneur does not mean you must have a brick and mortar store. You can run your entire business online – thanks to Internet penetration. Jumia has proven that direct and indirect jobs can be created via e-Commerce. It has empowered thousands of Nigerians to run their businesses through various initiatives like the Jumia J Force Sales Consultancy, Jumia Vendor Hub, Jumia University, and many others. So, when it comes to job creation, you do not need to wait for the government. The government only needs to create an enabling environment, while the private sector and entrepreneurs will provide the much-required employment. Moreover, being an entrepreneur is a reliable tool for closing the unemployment gap. 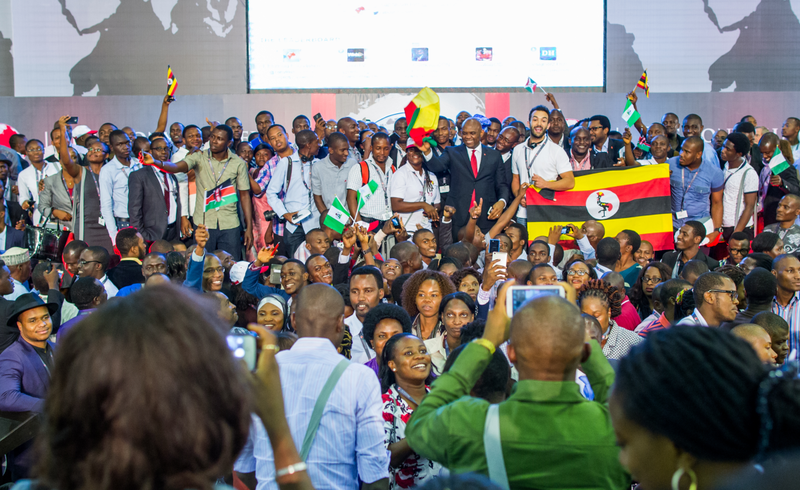 As developing countries continue to struggle with the limited capacity to create jobs and absorb new entrants into the labour market, the attractiveness of including entrepreneurship in job creation toolkits has grown. Presently, entrepreneurs and Small- and Medium-sized Enterprises are widely considered vital to national economies, particularly because they create a higher share of total jobs than other employers do. While entrepreneurial activities create some new jobs in the short term, more interestingly, the competition created by new firms can replace inefficient companies. The loss of jobs from those companies and from failing start-ups is offset by job creation in the first year of a firm’s life, providing a net increase in jobs for the overall economy in the long term. Promoting an ecosystem that nurtures entrepreneurs should be an important policy priority for governments looking to develop their economies. However, despite an increased policy focus on the value of entrepreneurship and SMEs, there are still many challenges facing entrepreneurship in a country like Nigeria. They include but not limited to (1.) lack of capital, (2.) difficulty in securing loans, (3.) lack of infrastructure, (4.) poor entrepreneurship knowledge. Despite these challenges, countless companies in the country that are performing and employing Nigerians. In fact, capital is no longer an excuse when it comes to floating a business. There are financial technology companies out there that are willing and ready to grant business loans within 24 hours, as long as you meet their requirements. On Jumia’s part, it offers business loans to vendors who have met the terms and conditions. This has boosted their businesses and helped them employ more hands. The reason why these types of loans are attractive to would-be entrepreneurs is that of their flexible repayment plans. The entrepreneurship ecosystem in Nigeria is growing at a geometric pace. Today, there are incubation hubs, accelerators and innovation centres training and grooming the next set entrepreneurs. They will not only get training, but they will also get funding which can sometimes be equity free. However, there is more to be done to ensure that the efforts are not just window dressing. There must be a strong and solid collaboration between government and SMEs, e-Commerce companies and innovation centres. These will help ensure that the efforts are well coordinated. Some of the other ways to improve the entrepreneurship ecosystem include regulatory reform, socio-cultural change and education and access to credit and financing. Clearly, entrepreneurs across the country would benefit significantly from having easy access to neighbouring markets for finance, consumers, and input goods and services. Harmonizing supply chains for entrepreneurs would go a long way in improving their market position. The economic urgency of providing jobs has become clear following the high unemployment rates. While surely not a panacea for all of Nigeria’s unemployment woes, programs that spur entrepreneurship and support SMEs can help Nigeria provide jobs and promote inclusive growth.